While putting together this issue, I’ve been considering, somewhat wistfully owing to the cold, dark weather, the possibilities of getting out and doing some longer motorcycling trips. In our modern, cautious world, we have a tendency to approach everything with apprehension and a ‘what if it all goes wrong?’ mentality. And so we set off on every journey, with breakdown assistance in place, perhaps GPS, mobile phones, and the knowledge that vehicles are now more reliable than they’ve ever been. That wasn’t necessarily the case with the likes of Ralph Bankes-Jones or Robert Dancy, the efforts of both of whom can be read about in this issue. Though their journeys took place 40-plus years apart, the spirit would seem to be fairly similar. Bankes-Jones took his veteran P&M around Cornwall just before the First World War, while Dancy remembers the trip his pal Harry and he embarked on in 1958. 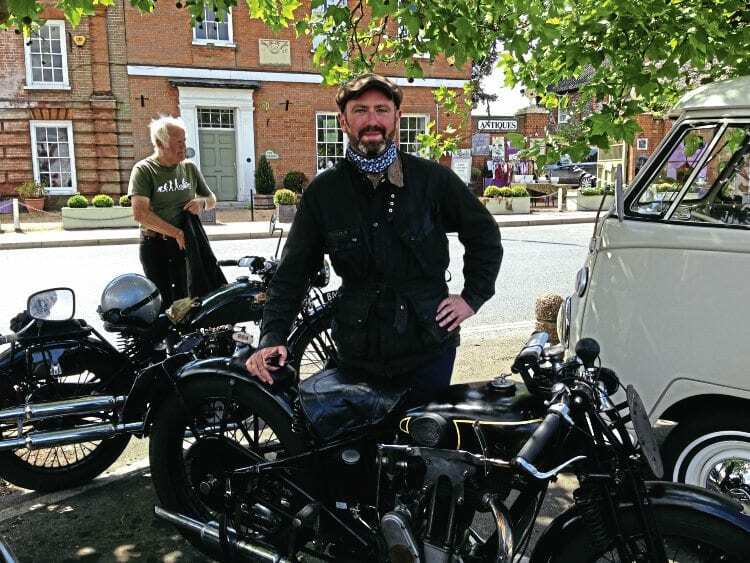 Indeed, there’s even a little mention in Richard’s Way We Were of a chap coming over from Ireland for the Dragon Rally on an AJS he’d literally just bought, in 1967. While riding to Istanbul on a GS BMW sounds like a bit of an adventure even now, it must have been quite something in the mid-1950s, two-up, on a four-year 500cc single. I like the descriptions Robert gives of what they took, how they coped and how matter-of-fact it all seemed. Brilliant stuff. He describes Harry and himself as ‘naïve’ but it is possible to know too much. I think setting off on an old bike for Turkey is a bit beyond my bravery presently, but an adventure closer to home, in a similar vein to say Bankes-Jones’ efforts, sounds quite fun. I’m vaguely considering heading down to Cornwall during 2017, perhaps trying to follow Bankes-Jones’ route or something. If he could do it on his P&M, then I’d surely be fine on my 20-year newer machine… I’m also thinking of a couple of continental jaunts as well, with one inked in and a couple more potentials. In the depths of winter, it is nice to have a bit of a plan (even if it never happens) for the next, hopefully good, riding season. Here’s hoping the same for all of you and that we collectively manage to keep putting the miles in on our motorcycles. Next Post:Camping trip: How to do a motorcycle tour before the First World War.